1 Top 12 Pixar Easter Eggs | This Blog Rules | Why go elsewhere? 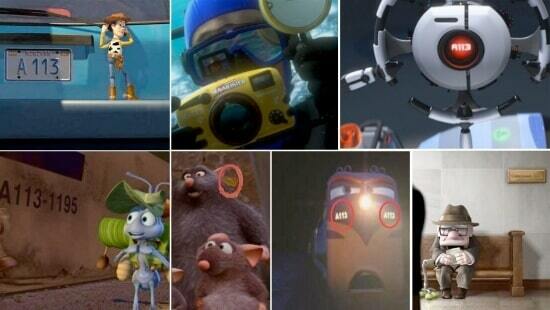 All of Pixar’s movies are interconnected in wonderful, yet hard to spot ways. From characters from different movies spotted in other installments to postcards sent between them and kept as memories, the animators of Pixar did a wonderful job of keeping the viewers observant. 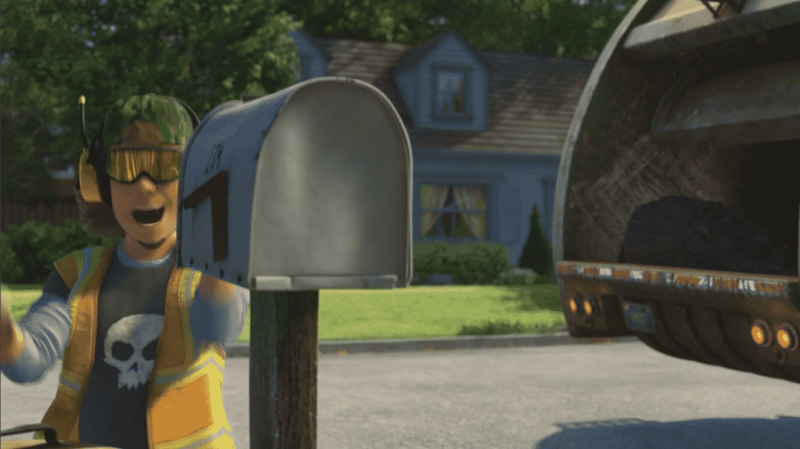 We have compiled a list of the best surprises from the company, so here is the top 12 Pixar Easter eggs from the animated movies. The iconic lamp from the company’s logo is well known. 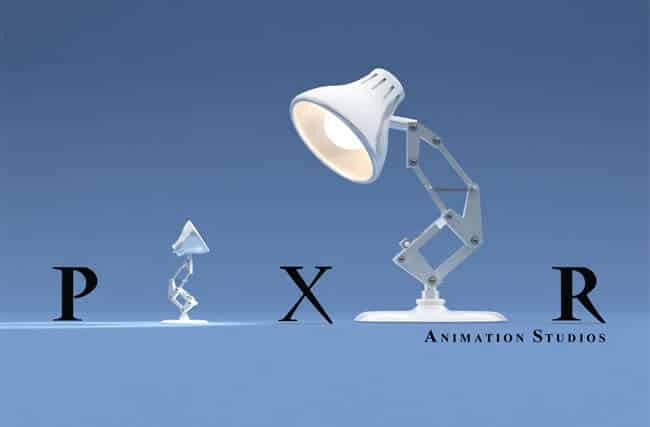 However, few people know that it had its own short movie titled “Luxo, Jr.” where viewers found out its story. The movie also featured the lamp’s toy, a yellow ball with a red star and a blue stripe. 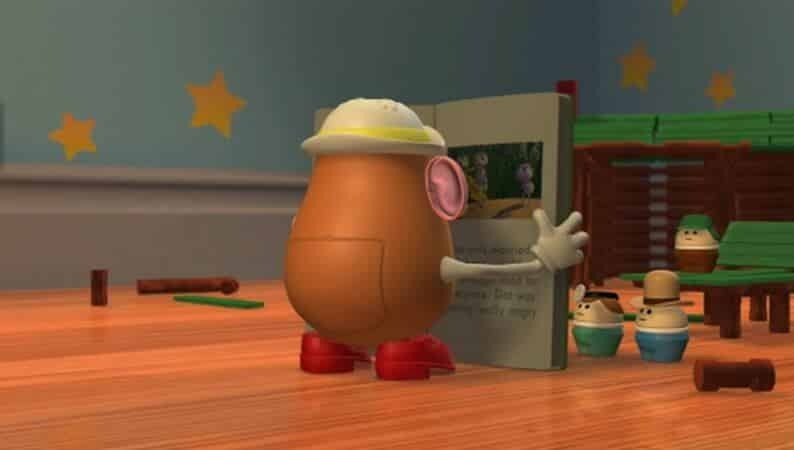 The toy of the lamp has been spotted in the background in movies such as Toy Story, Monsters, Inc., The Incredibles, Finding Nemo and Up. 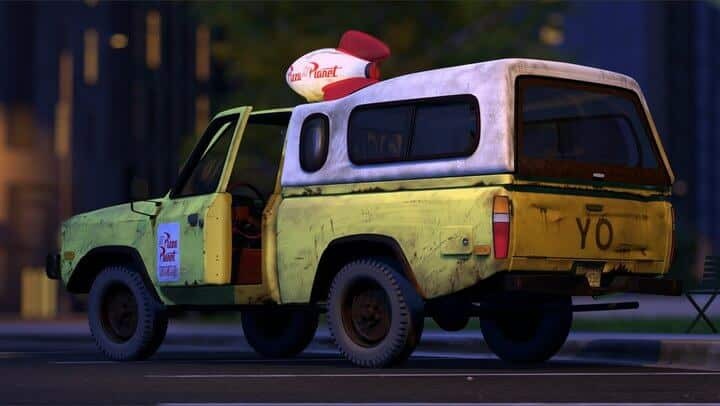 The delivery truck from Pizza Planet has made numerous appearances in every Pixar movie except The Incredibles. We have seen the truck in Brave on a Scottish carving, by the place where Carl Fredricksen’s home took off in Up, being scanned by WALL-E, parked in Monsters Inc., cheering the hero in Cars, driving through Paris in Ratatouille and Sydney in Finding Nemo, and giving a ride to Buzz and Woody in the first Toy Story movie. Quite a career. The drive-in theater from Radiator Springs also appeared in The Incredimobiles and Toy Car Story movies. 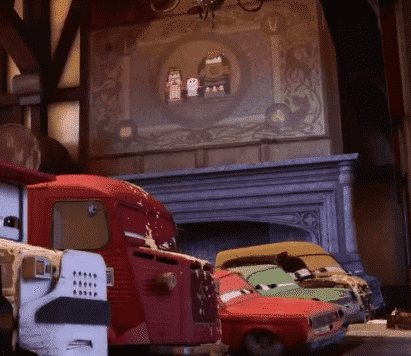 However, the cars from the original movie had a few cameos in Toy Story 3, where you can spot McMissile and Snot Rod on Andy’s wall. Doc Hudson made an appearance in The Incredibles at battle near the end, while Luigi can be seen driving past the office of the dentist in Finding Nemo. Animators and filmmakers at Pixar such as John Lasseter and Brad Bird wanted to honor the classroom were they started their animation and graphic design classes. Thus the number of the classroom from the Arts Institute in California randomly appears throughout all the movies. Movie fans can spot the “A113” on a carving with roman numbers in Brave, on a camera in the Fiding Nemo movie, on the evacuation code of Nemo, on the door of a classroom in Monsters, Inc. and on several license plates, most notably the one on the car of Andy’s mom in Toy Story. 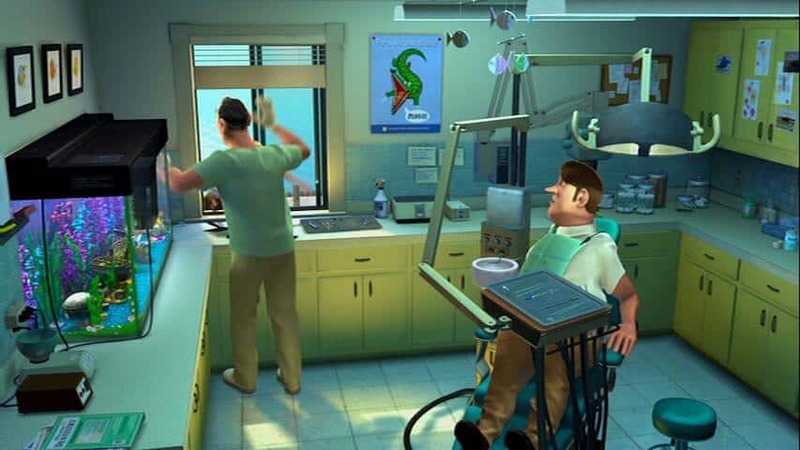 Toy Story 2 has several references to A Bug’s Life. A picture from the movie about insects can be seen in a book which is read by Mrs. Potato Head, while Buzz runs past an aisle in Al’s Toy Barn that features several toys resembling A Bug’s Life characters (Dim, Flik and Heimlich). In the third movie of the series, Andy’s neighbor Sid shows up as the garbage man. However, viewers can easily identify him by his voice and shirt with skull. We also got to take a look at Buzz’s batteries, which are from a great corporation in the WALL-E movie, Buy ‘N Large. Mr. Ray, Nemo’s mentor appears as a toy on the shelf of a daycare center. Last but not least, there is a postcard from Carl and Ellie from the Up movie on Andy’s wall. 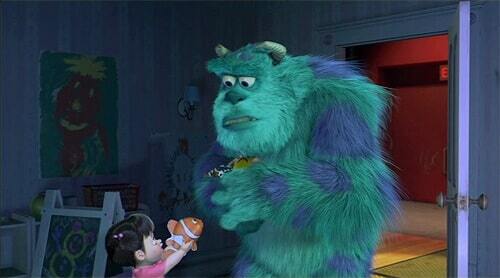 Monsters, Inc. features two Easter eggs related to Finding Nemo. One of them is among the toys that Boo offers Sulley: a clownfish like Nemo, the ball of the Pixar Lamp and Jessie the cowgirl from Toy Story. Furthermore, we can spot a painting of Marlin on the walls of Harryhausen’s restaurant. Buzz Lightyear is seen in front of a chest toy when Nemo arrived in a fish tank. At the dentist’s office, Boo’s mobile is located above the chair, while a drawing made by her is stuck on a cabinet. Outside the room, a boy is reading a comic with Mr. Incredible on its cover. The Cars movie features two references to Buzz Lightyear. 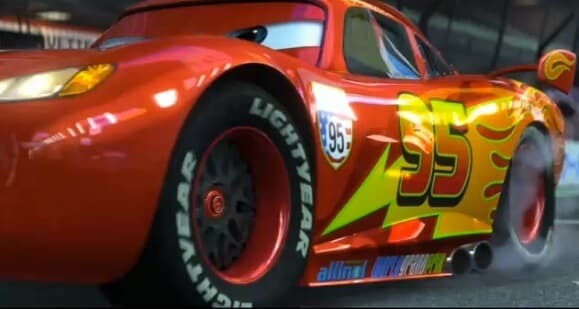 The tires of Lightning McQueen come from the Lightyear company. Another car in the race sports tires named Gamma Sector 4, which is also the name of the place where Buzz was a space ranger. We can see the same restaurant from Ratatouille. However, the name is changed from Gusteau’s to Gastow’s. The movie also features a future release by including a painting in a tavern of Merida and her family from Brave. They do look however like cars. The protagonist of the movie, Remy, is scared by the shadow of a dog, none other than Dug from Up. Viewers can also spot the logo of The Incredibles on the underwear of the master chef, Linguini. WALL-E is seen scanning rubble where Remy’s scooter from Ratatouille is also visible. 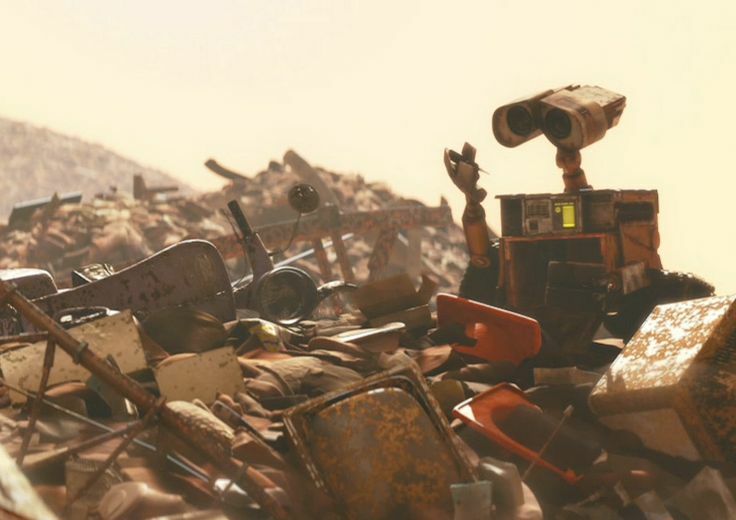 Viewers can also observe among WALLE-E’s collection the tennis ball walker of Carl from Up and Rex the dinosaur from Toy Story.